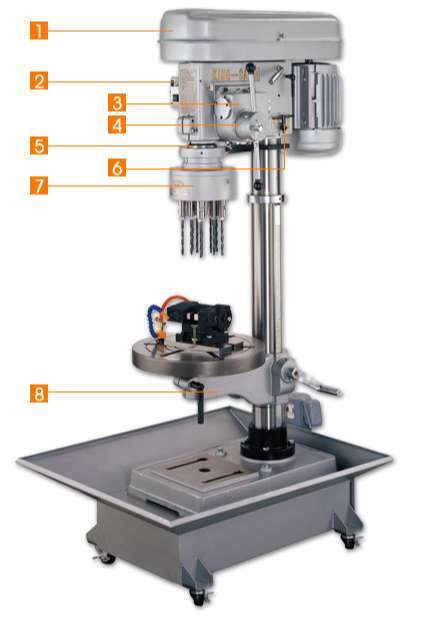 Function And Features Of Drilling Machine - HSIN GEELI HARDWARE ENTERPRISE CO., LTD.
Automatic adjustment device for speed adjustment pulley tension requires no tool for assistance. 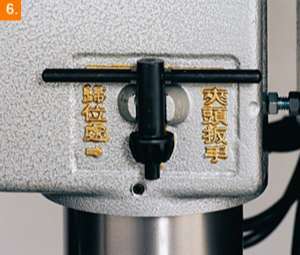 For the 1" drilling machine feeding speed switch, please adjust the idler pulley upward or lower and replace a suitable belt accordingly. 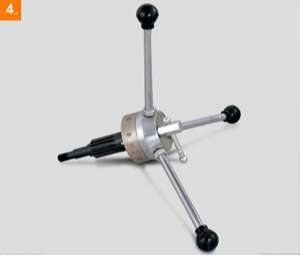 The magnetic valve switch control can be changed to single or continuous drilling. It has counter and control signal functions. Also available to equip with hydraulic / pneumatic infeed / outfeed and coolant device. 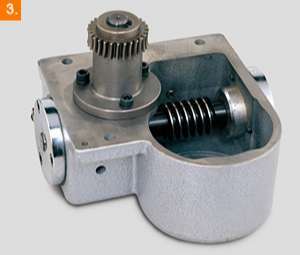 The gear box housing is onepiece fabricated from cost iron for outstanding durability. 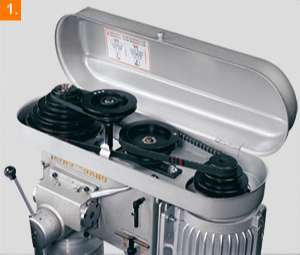 The manual drilling machine employs stainless steel circular graduated collar, which is produced by investment casting. This prevents graduations and numbers from peeling off. 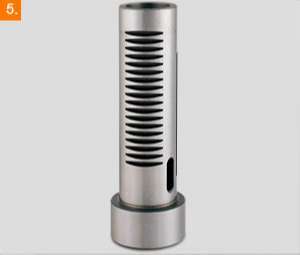 The quill is manufactured from ductile iron and heat treated to ensure maximum wear resistance without breakage. After chuck key is used, it can be stored on a cast iron holder. This saves time of searching for the chuck key. 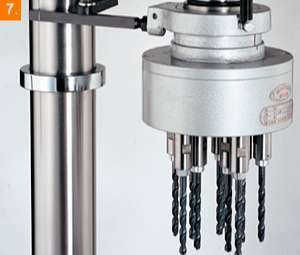 By using the multiple spindle drilling head, you get higher accuracy and increased efficiency. 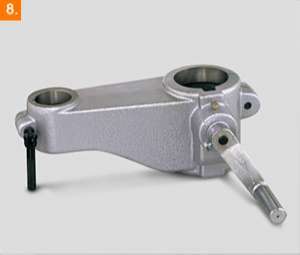 a fixing bracket is also suggested for increasing stability of raising or lowering motion. The middle frame is one-piece fabricated from cast iron for outstanding structural strength. 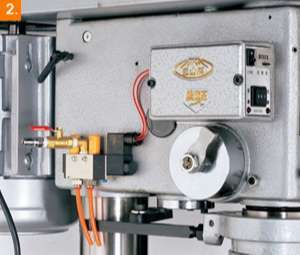 A hydraulic taper device is suggested for adjusting workpiece angle, that ensures vise accuracy.